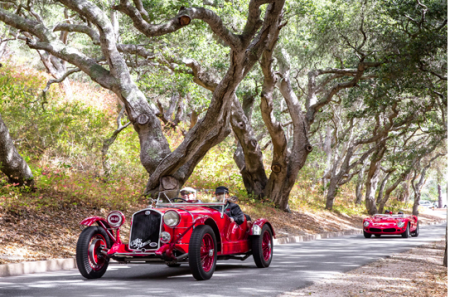 Every August, one of California’s most spectacular locations, the Monterey peninsula, becomes the international focal point for motoring excellence and elegance during the Monterey Classic Car Week. Showcasing an exceptional selection of the world’s most beautiful vintage and modern day supercars, the prestigious Pebble Beach Concours d’Elegance® and the Pebble Beach Tour d’Elegance® presented by Rolex are major highlights of this spectacular event. While individually focusing on different key attributes, together the Concours and Tour form an inimitable combination of speed, endurance and elegance. These values are perfectly compatible with Rolex’s and underline why the Swiss watchmaking brand has been Official Timepiece of the Pebble Beach Concours d’Elegance since 1997 and became presenting sponsor of the Tour d’Elegance in 2007. Established in 1950 and traditionally held on the third Sunday in August since 1972, the Pebble Beach Concours d’Elegance is the most opulent motor show in the world and marks the finale of the Monterey Classic Car Week. This yearly meeting enables those passionate about automotive design, style and innovation to pay homage to the great eras of motoring history, as well as to catch a glimpse of both concept and new cars making their debut. 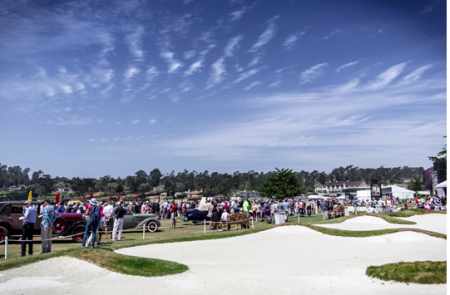 Staged on the world famous 18th hole of the Pebble Beach Golf Links®, where U.S. Open golfing history is often made, tyres unusually meet turf. This distinct setting is rather fitting given Rolex’s role as Official Timekeeper of the U.S. Open and the brand’s strong links with four-time winner of the U.S. Open, Jack Nicklaus. Approximately 200 of the most prized automobiles and motorcycles in the world roll onto the renowned fairway to be judged for historical accuracy, technical merit and style. This year, the Concours will commemorate the BMW Centennial and the 50th Anniversary of the Ford GT40 Victory at Le Mans, with the American manufacturer having also spectacularly triumphed on its return to the 24-hour race this year. While speed is not part of the criteria at the Pebble Beach Concours d’Elegance, all cars must be drivable and where better to set this outstanding museum in motion than the Pebble Beach Tour d’Elegance presented by Rolex. Introduced in 1998 and open to all Concours participants, the non-competitive tour of 80 miles (129 kilometers), traces portions of the historic 17-Mile Road Race, which ran from 1950 to 1956, another nod to the outstanding heritage of this automotive festival. The Tour starts from The Lodge at Pebble Beach™, parades along narrow roads bordered with pines and cypress trees, traverses nearby mountains and valleys, and pauses for a gourmet lunch in the charming town of Carmel-by-the-Sea. 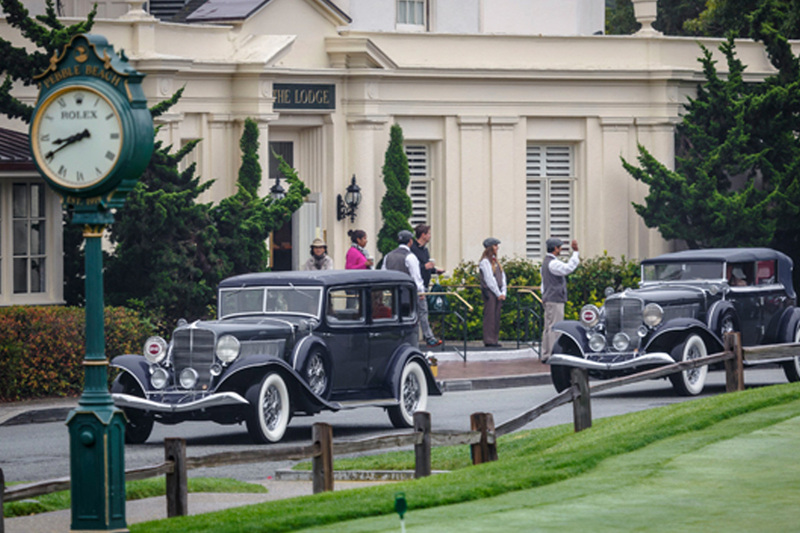 The Tour is not just a golden opportunity for locals and enthusiasts from around the world to savour the beauty and elegance of some of the greatest classics of all time, but participating can be crucial for those hoping for victory in the Rolex-supported Pebble Beach Concours d’Elegance. In the event that two cars tie during the judging of the Concours, the car that successfully participated in the Tour will take the prize. Never has the cliché, “You’ve got to be in it to win it” been more apt. Participants not only compete for Class Awards, Elegance Awards and Special Awards, but also for the most coveted prize of all, the Best of Show Award. Last year’s winner was the 1924 Isoletta Fraschini Tipo 8A F. Ramseier & Cie Warblaufen Cabriolet. The Best of Show award is the Concours’ ultimate accolade, bestowing global recognition on the victor, who also claims the ultimate prize – the Rolex Oyster Perpetual Datejust 41. Aesthetically, the Datejust has spanned eras, while retaining the enduring codes that make it one of the most recognized and recognizable watches and the perfect timepiece to commemorate success at Pebble Beach.